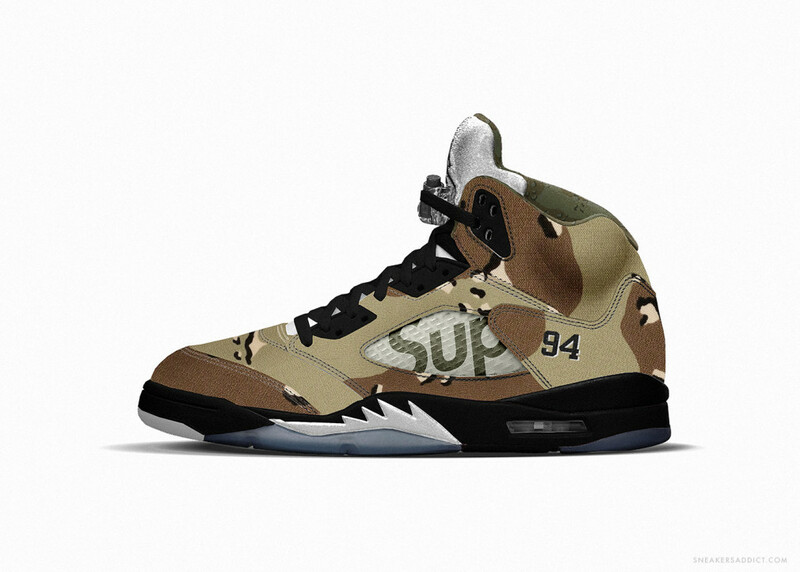 Air Jordan 5 x Supreme "Desert Storm"
The Air Jordan 5 x Supreme “Desert Storm” is an upcoming Air Jordan 5 colorway in collaboration with New York Brand Supreme. 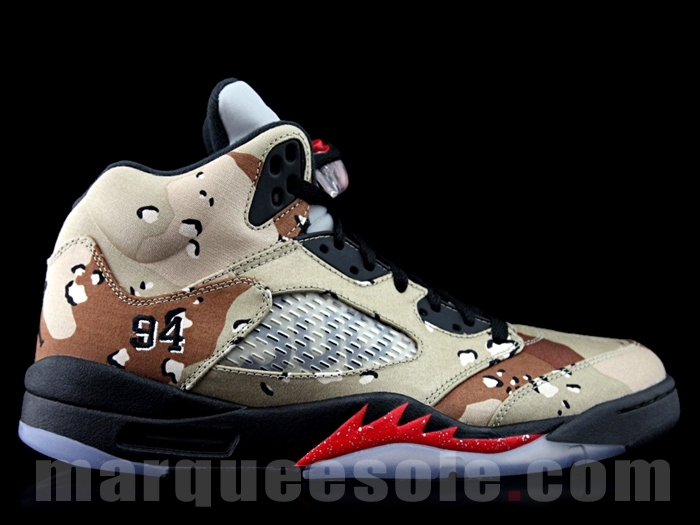 Supreme will be collaborating with Jordan Brand on three Air Jordan 5 colorways for the Fall season. 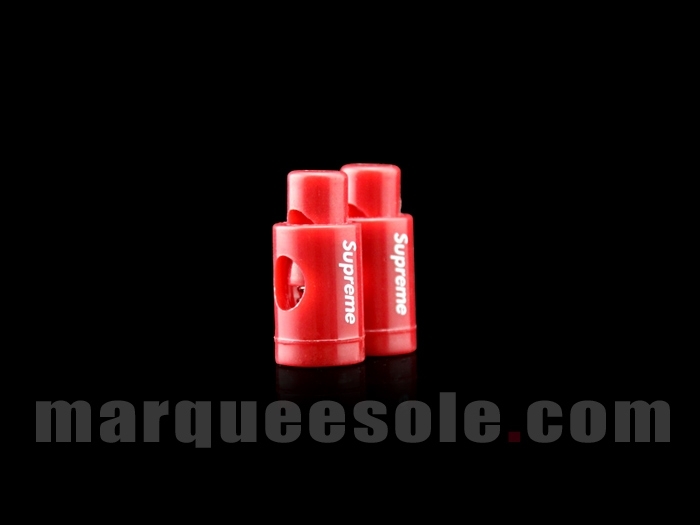 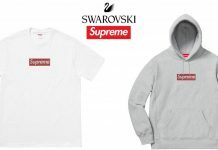 In the beginning, Supreme mainly focused on Nike SB for it’s first few collaborations in the early and mid 2000’s. 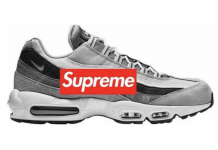 Fast forward to 2013, and Supreme broke away from it’s roots and took over the Nike Air Foamposite One and Flyknit Trainer, leaving us with many expectations for future Supreme collabs. 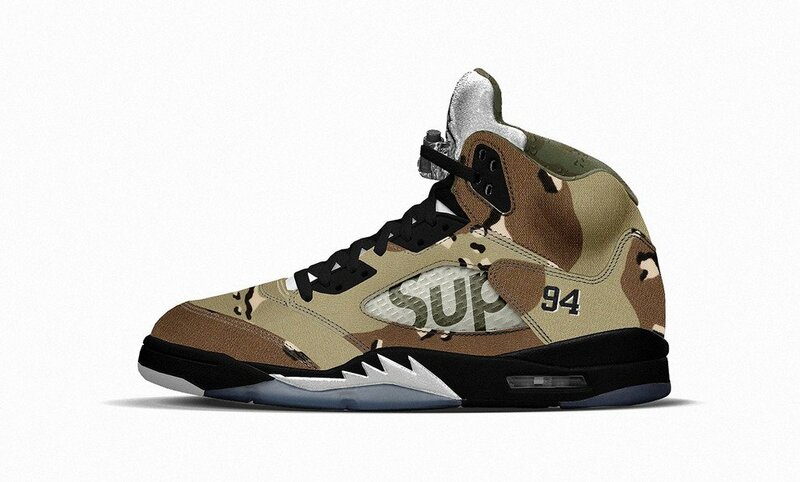 This Fall, Supreme teams up with Jordan Brand on three colorways. 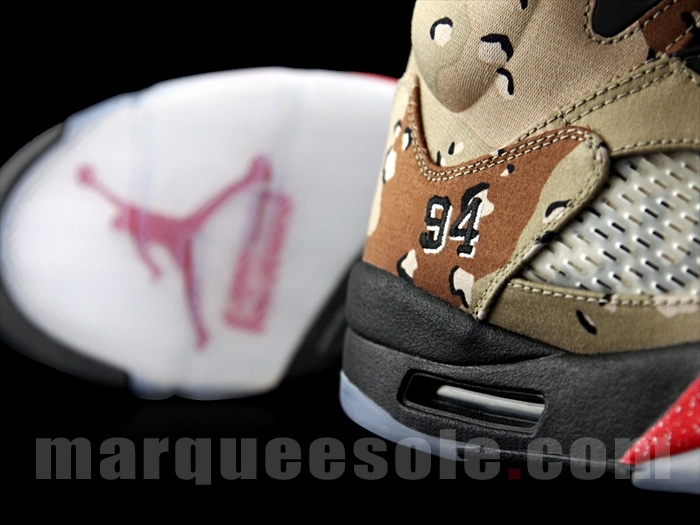 One of them, the Air Jordan 5 “Desert Storm”, uses camo print that was used for Operation Desert storm in 1990. 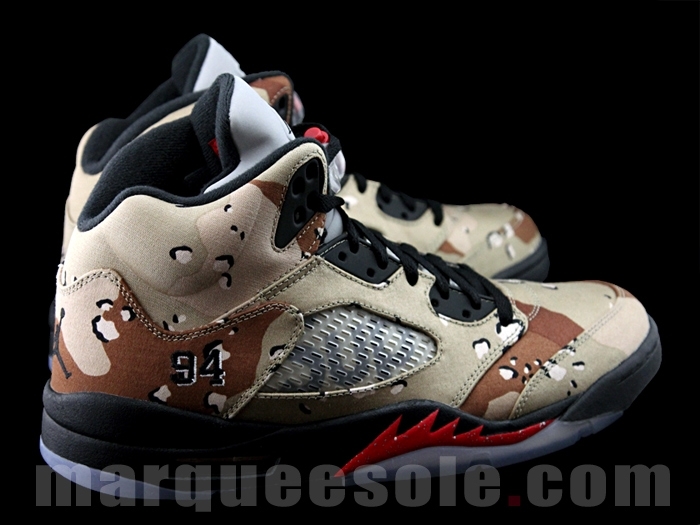 1990 was also the year the Air Jordan 5 released, which explains the connection between both the camo and shoe. 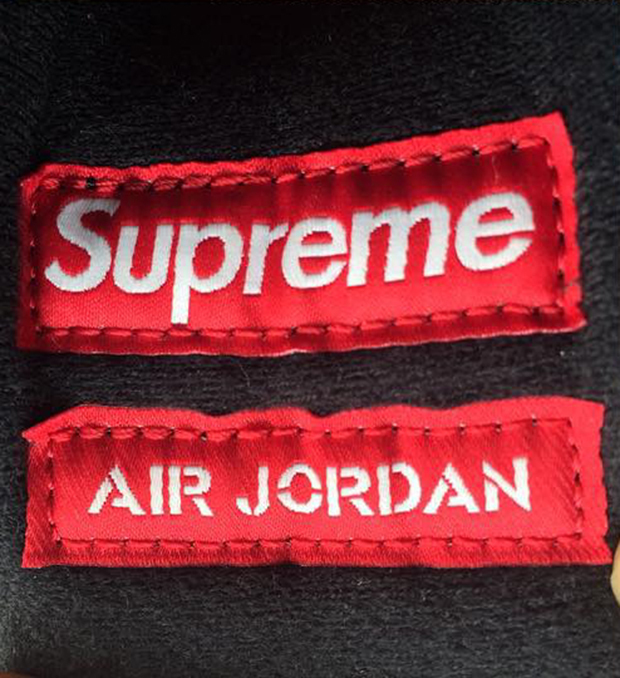 Supreme gave the Air Jordan 5 their own spin by adding the logo on the clear netting located on the side panels, and 94 stitched on the heel which is the year Supreme started. 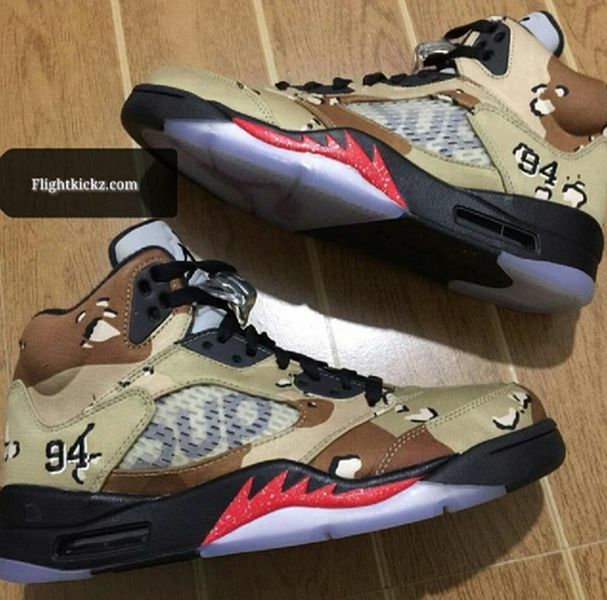 Stay tuned for more information on the Air Jordan 5 x Supreme “Desert Storm” here on Modern Notoriety, as well as more information on the Air Jordan 5 x Supreme line. 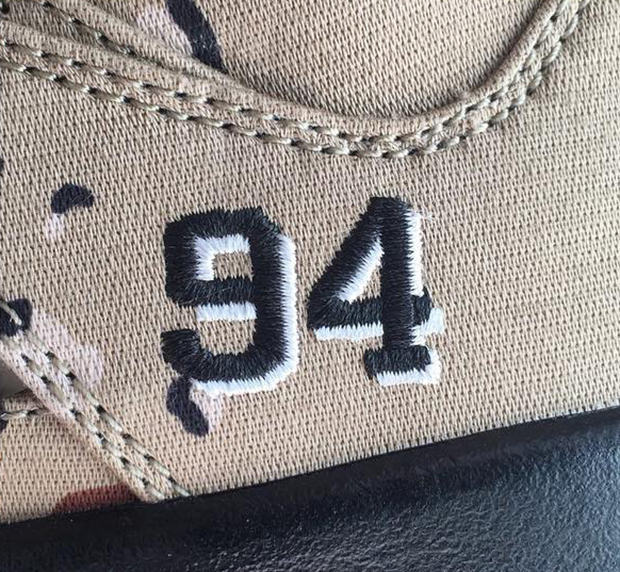 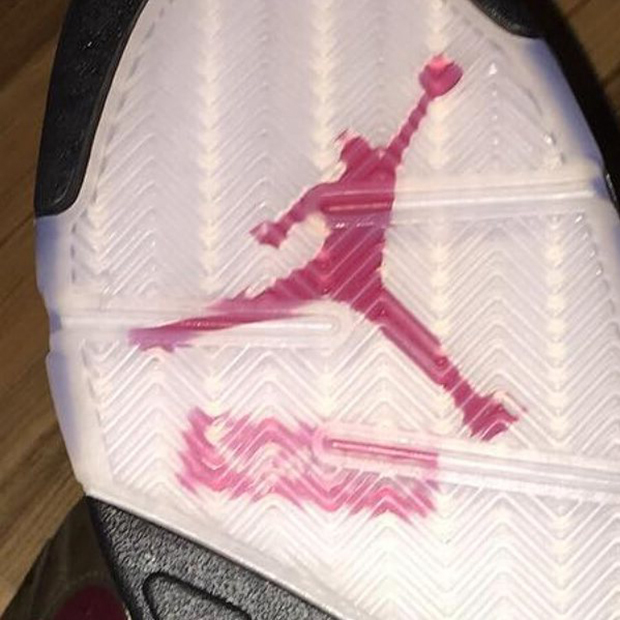 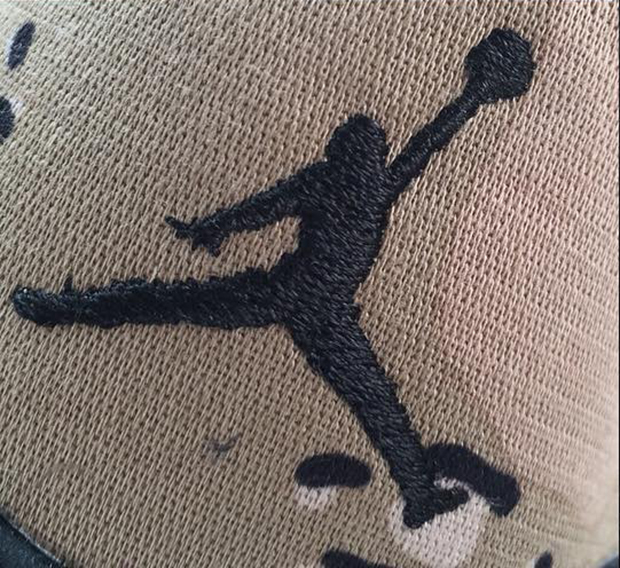 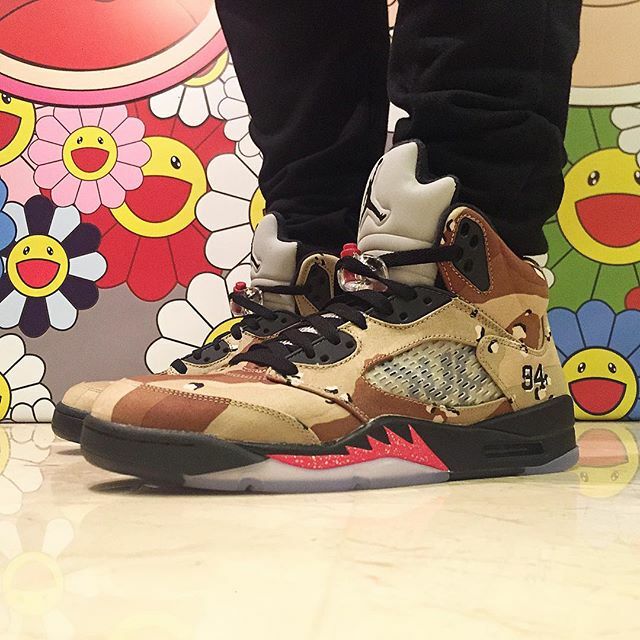 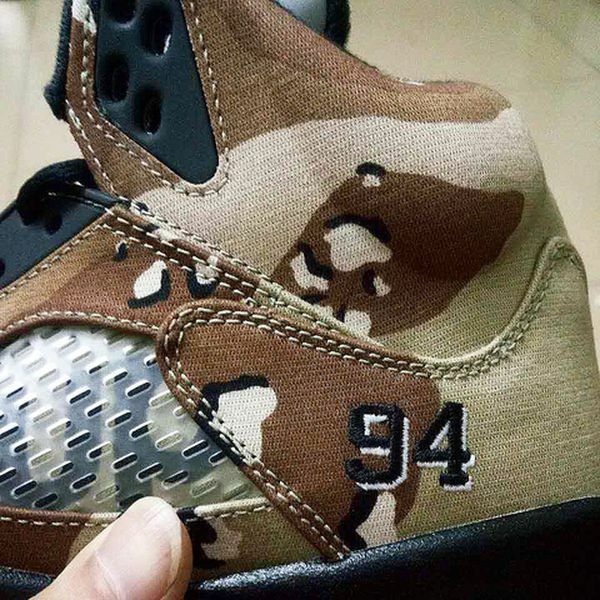 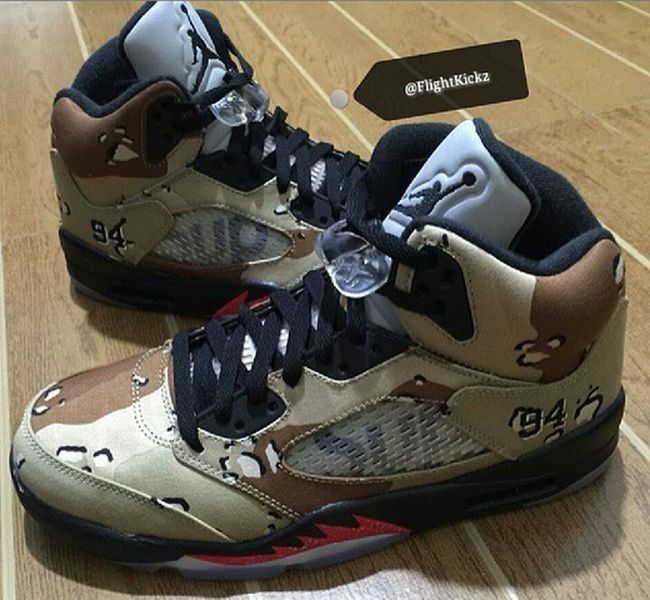 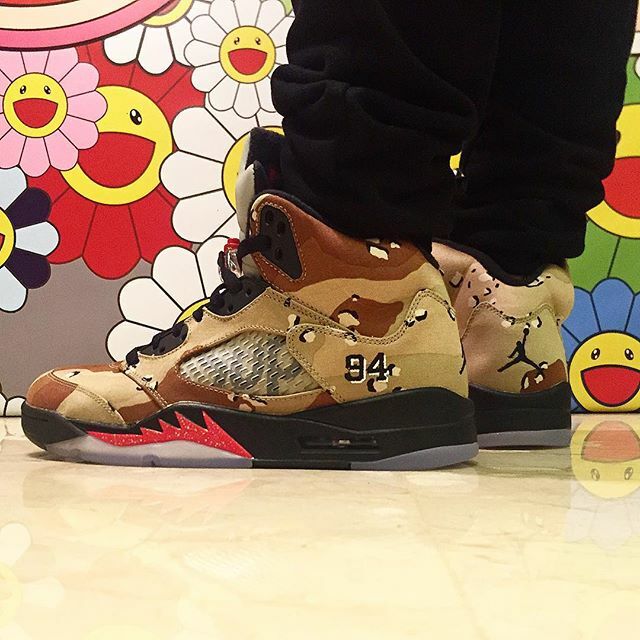 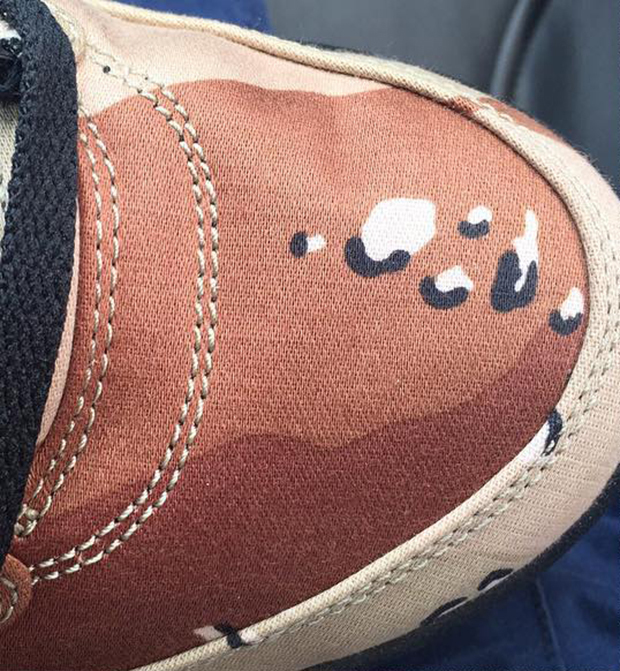 Update 7/20: The first photo of the Air Jordan 5 x Supreme “Desert Storm” has surfaced. 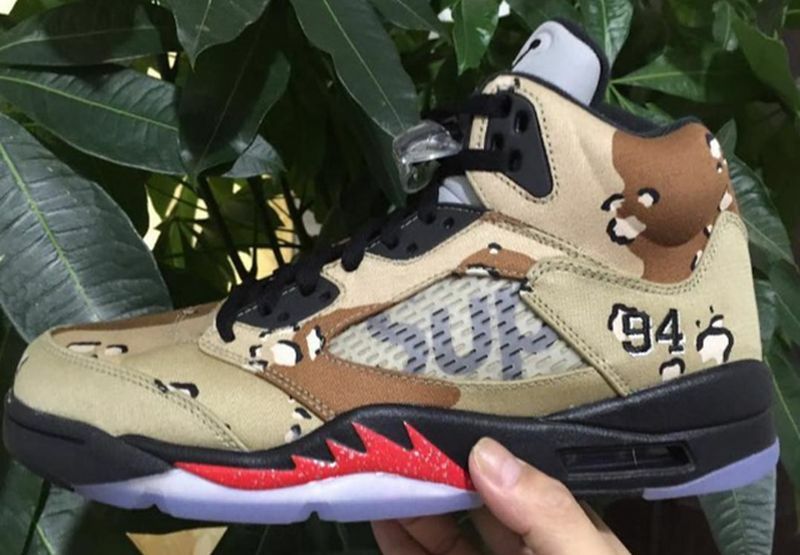 We now know that the Air Jordan 5 x Supreme “Desert Storm” will feature a Canvas upper, Desert Storm Camo, Supreme on the plastic netting and stitched 94. 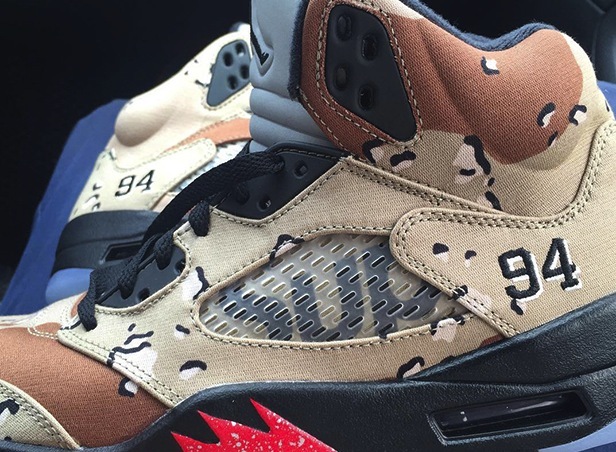 Check back with Modern Notoriety for more news on the Air Jordan 5 x Supreme. 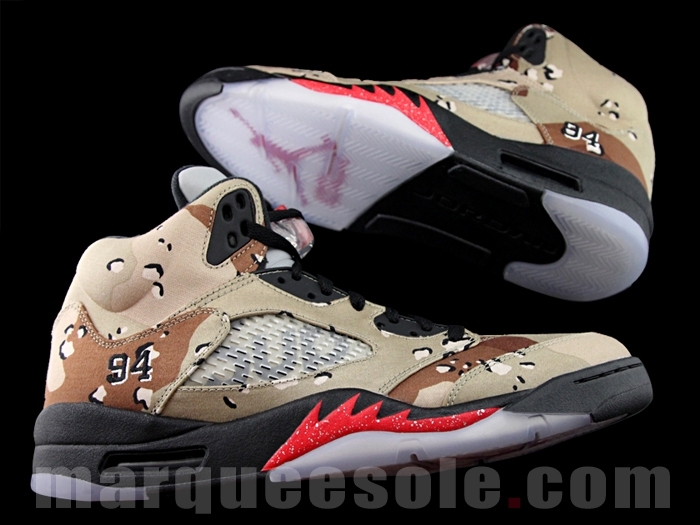 Update July 22nd: Detailed shots of the Air Jordan 5 “Desert Storm” collaboration with Supreme have finally surfaced. 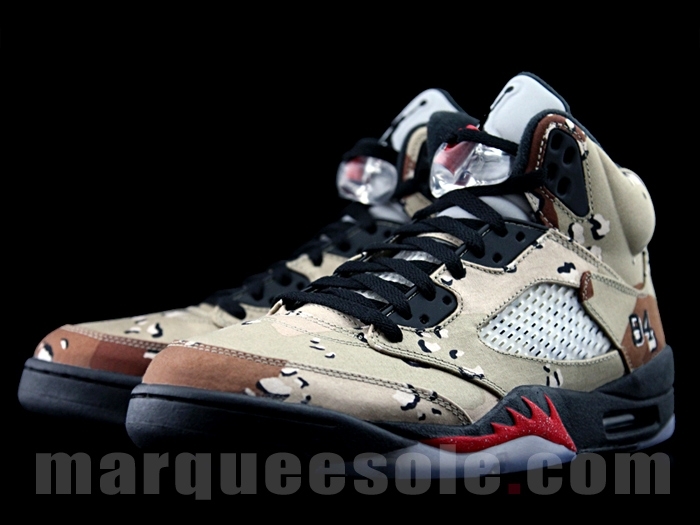 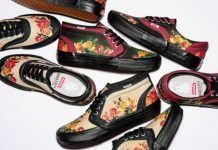 Not that I was gonna be able to cop but that canvas kinda kills it they should’ve left it nubuck.